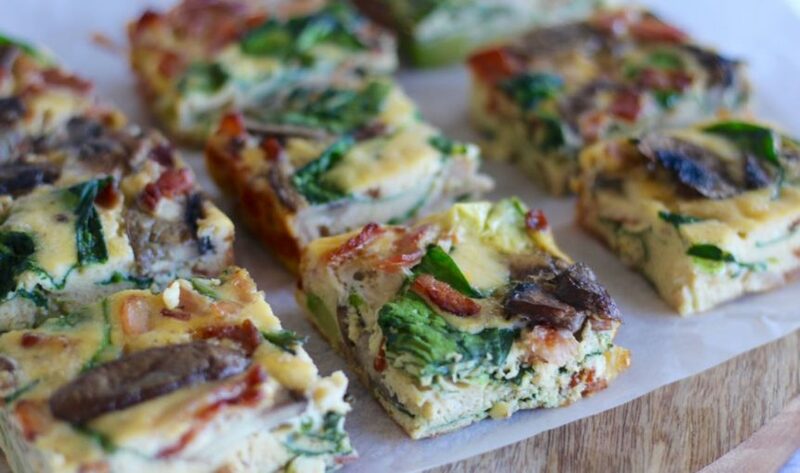 Bacon, egg and avocado frittata (Ok, we added mushrooms and spinach too). This bacon, egg and avocado frittata recipe is so easy and so yum. It’s perfect for super busy mornings. Anything you can prep the night before then grab and go = winning. We’ve decided we should probably start making more frittatas, because even though we work from home… meal prep is the BEST! 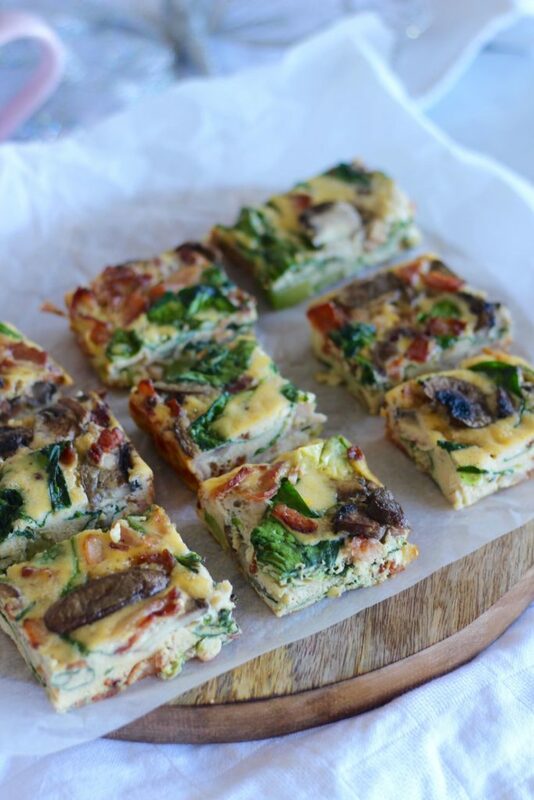 We usually have smoothies for brekky but we’re thinking frittata is a great savoury alternative. We’ve also made a similar recipe with roasted broccoli and pumpkin with cashews. So yum! 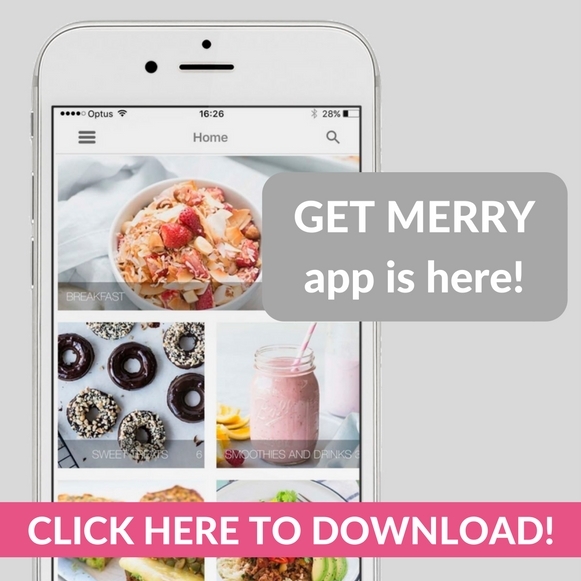 That recipe is on the Get Merry app. We share exclusive app only recipes each and every week. Plus we add every single recipe form the blog (like this bacon, egg and avocado frittata). There are almost 300 recipes on there now! BOOM! 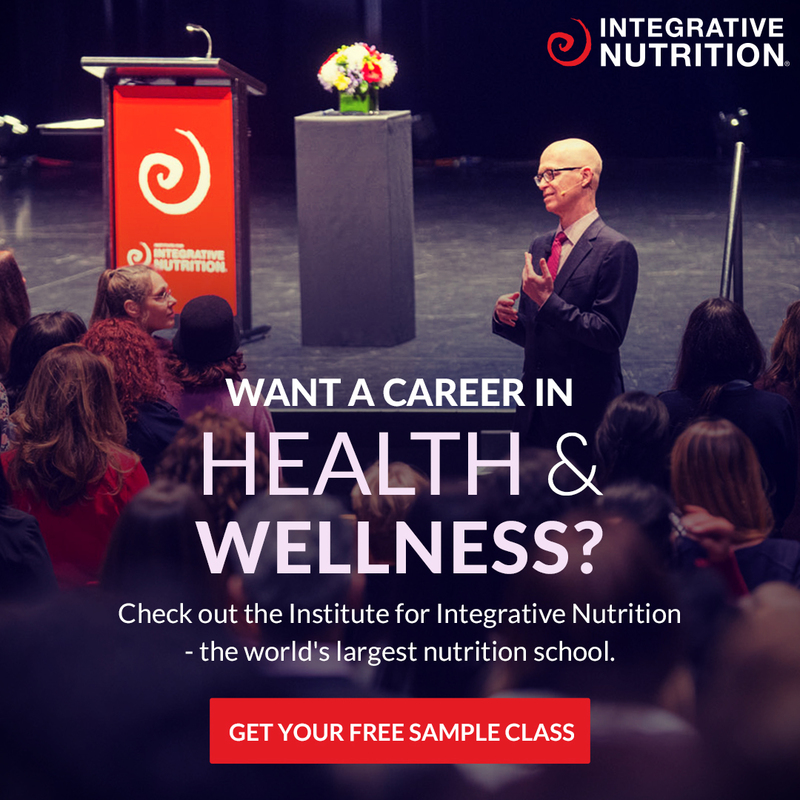 DOWNLOAD THE APP OVER HERE. Preheat oven to 180°C (350°F) and line a 20 x 20 cm (8 x 8 inch) baking dish with baking paper. Fry up the bacon in a small fry pan. We do this coz we love extra crispy bacon, you can skip this step, but we vote do it! In a small bowl whisk all the eggs, add the coconut milk, salt and pepper and stir. Pour the egg and milk mix into the lined tin. Place the avocado, spinach, mushrooms and bacon evenly on top of the egg mix. Then use a spoon to press everything in under the egg mix. Pop into the oven for 25 minutes or until the egg is cooked. For extra delish factpr, sprinkle with grated cheese before placing into the oven.